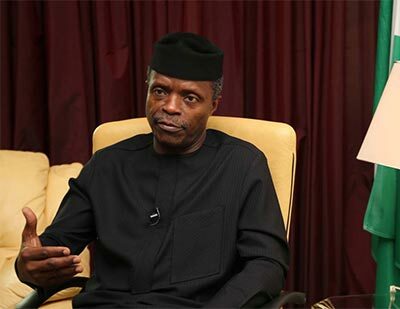 (AFRICAN EXAMINER) – Vice-President Yemi Osinbajo on Saturday survived an helicopter accident at Kabba in Kogi. African Examiner gathered that the chopper carrying the Vice President had crash landed after a landing incident, but everyone is safe. 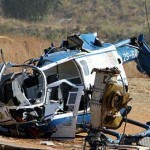 All the passengers in the flight survived the accident unhurt but the helicopter was badly damaged. 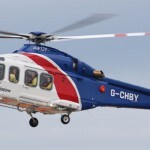 Meanwhile, the Vice President Yemi Osinbajo has expressed thanks to Nigerians for their concern following the chopper incident earlier in Kabba, Kogi State. “We are safe and sound. Thank you to everyone who has expressed concern and thank you to the crew who managed the situation well. We believe that God will continue to keep us and Nigeria safe even as we go higher. 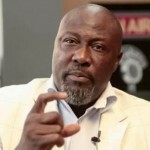 We continue Next level engagements in Kabba, Kogi State.” the Vice President said.